If table tennis didn't have a set of rules, it wouldn't be much of a sport - at least, not one that I'd want to play. Without rules, there would be nothing to stop your opponent from changing the score on a whim, or punching you in the nose to distract you while you are trying to play a shot! Overall, rules in table tennis are a good thing. They set the framework and boundaries for the sport, with the intention of making clear what is allowed, and what is not. In any organized sport, there is usually a governing body whose job it is to create and maintain the rules, and table tennis is no different. 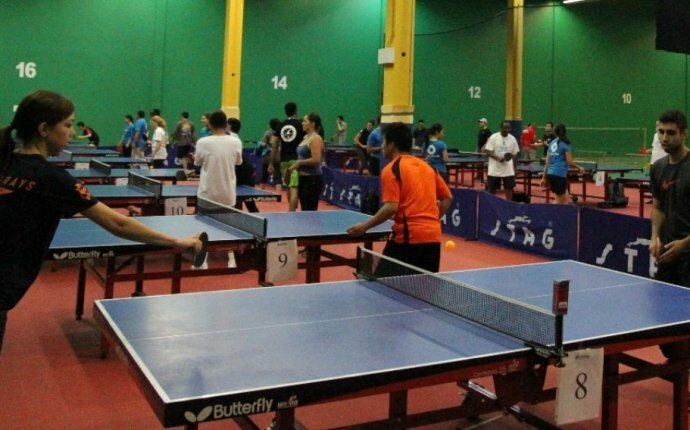 Our governing body is the International Table Tennis Federation (ITTF), and the ITTF has created a set of laws which apply to the international sport of table tennis. These laws are available from the ITTF's website, and also available for purchase in booklet form. The ITTF considers changes to the rules every couple of years, and when changes have been made, a new booklet of laws is published, and the ITTF website updated. I'm not going to list the ITTF Laws here, it's a pain to keep up to date since I have to make sure I always have the latest copy of the rules. Just follow the link above, and you'll always get the latest version direct from the ITTF. Since human beings aren't perfect, sometimes the laws of table tennis aren't always as easy to understand as we would like, but fortunately we usually have umpires and referees at competitions, whose job it is to know and enforce the rules correctly for the benefit of everybody. The ITTF even provides umpires and referees with their own Handbooks to help them interpret the rules correctly, which you can find on the ITTF website. The Handbook for Match Officials is particularly worth a read, since it explains and clarifies many of the more complex rules in more detail. But sometimes a tournament will have no qualified umpires available, and then it usually falls to the players themselves to do the umpiring. Sometimes a third player will be asked to act as the umpire, and sometimes the two opponents (or four opponents, if it is a doubles match) will be asked to umpire themselves. Sooner or later this will happen to you, and when it does, it is important that all the players (and umpire, if there is one) understand the laws of table tennis, or else disputes and conflicts can occur. In fact, I'd hazard a guess that the number one cause of bad feeling between table tennis players (who are generally as nice a group of people as you could hope to meet) is arguments over the rules - due to disagreements about what the current rules are, or how to interpret them. When disagreements do occur in a match you are umpiring or playing in (and they will! ), it's nice to know that you have a full understanding of the rules, and a current edition of the Laws of Table Tennis on hand. Nothing stops an argument faster than being able to politely point out the current rule that applies, right there in black and white. Unfortunately, sometimes it isn't easy to interpret what the ITTF actually means with a particular rule, and there are a few grey areas here and there, so in this Guide I'm going to explain the trickier laws for you. And while nobody but a qualified umpire or referee is expected to remember all the rules, there are certain rules which everybody should know, and I'll point them out as well. I should probably add a disclaimer to say that even though I have qualified as an International Umpire, that doesn't mean that I'm automatically right. I'll always back up my opinions with the relevant ITTF Laws and Regulations I can find, but bear in mind that I'm giving you my interpretation of the rules, to the best of my ability. So in this Rules section of the Guide I'll point you to where to find the current set of ITTF rules and handbooks, I'll cover the basic rules that you should know, and explain some of the more confusing laws as well, among other things.